Have you tried advertising for a used one? There is a place in Missouri which has used Model T parts. I don't remember the name of it, I think it is Model T Haven, but I'm sure someone on the Forum would know for sure. Many people over the years have made the roadsters into pickups, so there should be some lids available. Unless you are very talented in working with sheetmetal, I can't see how you possibly could make one which would be anywhere near as good as a good used one or even a reproduction. Just, my opinion. Maybe you are a sheetmetal smith. 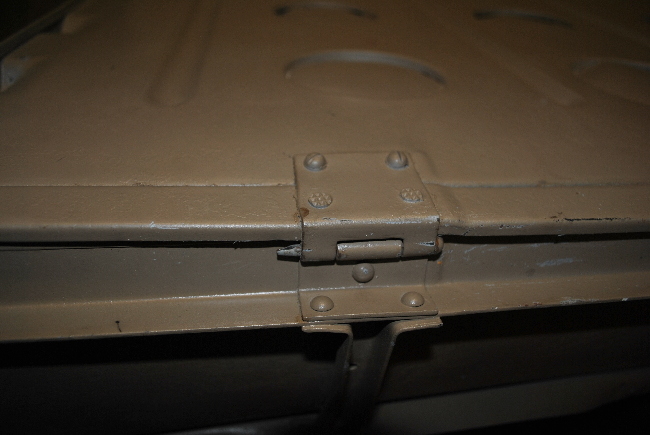 Do you have any of the other parts such as the sides and bottom and top panels, or the hinges? You might even find a good used one at Chickasa. If you can't personally get there, maybe someone in your local club is going and could look for one for you. You missed a good swap meet in Hershey Pa a couple months ago. Hershey is much closer to where you live, but you would have to wait a year for the next one, and maybe not find it there. This is what I know from experience, If I find a used part which is not very good, or if I improvise and make a part myself, I will soon find many good or better parts at swap meets, but if I don't do anything, the parts just don't seem to appear. Model T Haven is in Iola Kansas. John Danuser was the used parts seller in Missouri. Unfortunately John passed away a month ago. There is still a lot of parts at his place but what his wife is going to do with them is still a mystery. Check the Fordbarn website. They have an on going listing of Model T parts. What seems to be the problem with the repo from Howell's? Is the problem with the fit? I wouldn't think so as they have made and sold a lot of them over the years. Now, is authenticity is your requirement, I can understand, but making your own isn't going to be authentic, either. Back in the late sixties when I was just getting into the hobby, my father and I were restoring his father's 27 coupe. 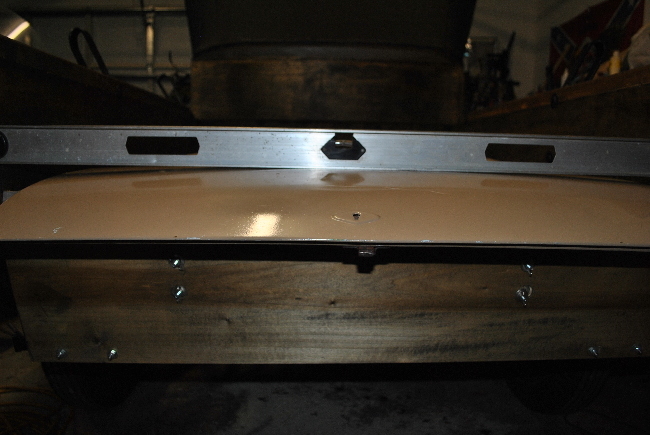 Granddad had cut the coupe deck lid off about 6 inches from the top and put a wooden pickup box in the trunk's place. 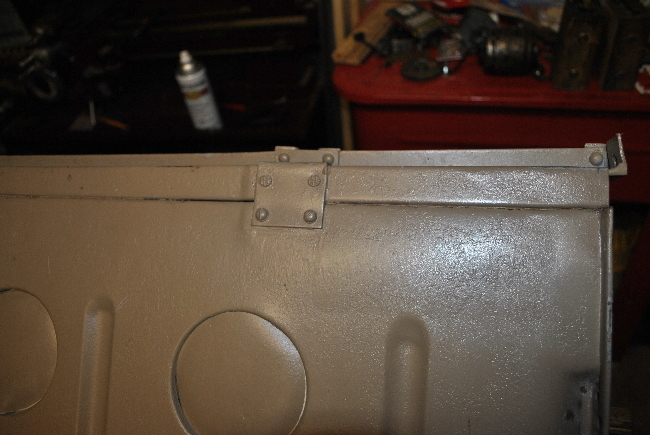 We didn't have connections with other T parts collectors and had no choice but to buy a roadster deck lid from Howell's and cut the top 6 inches off and weld them together. Modification worked well for 20 years until my Dad passed away and I found a good deck lid on Ebay and replaced it. 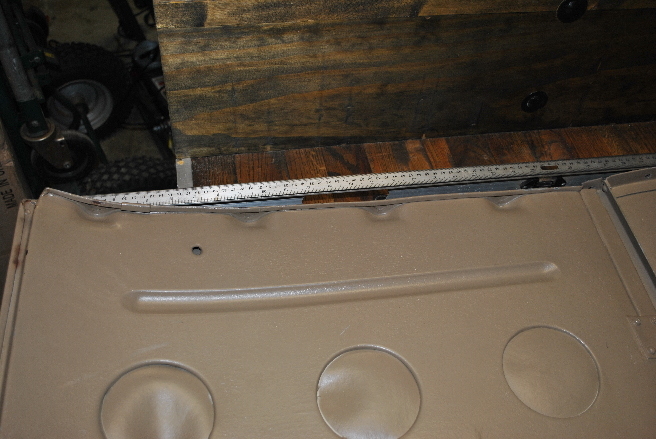 A 26-27 Roadster trunk lid is getting to be harder to find in any condition. I guess because they made them for only 2 years. I have been going to Chickasha for several years and don't recall seeing a good one. I might have missed one but don't recall now. 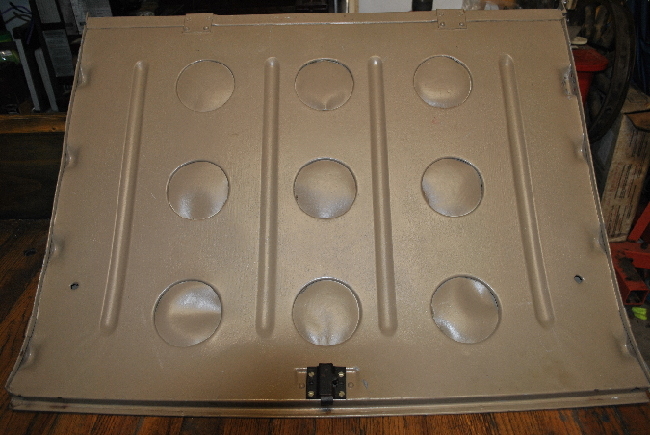 I have bought several sheet metal body parts from Howell's and have been satisfied. 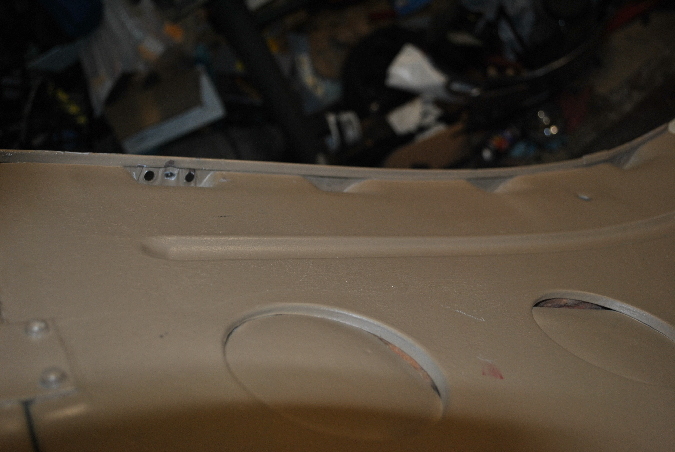 Mainly because I got tired of looking for some decent body panels and other body parts for my 21 Touring restoration. As far as getting reproduction parts that are an exact duplicate of another they all are around 95% + like an original. Original Model T sheet metal wasn't made to exact standards anyway. The reproduction body parts may or may not take a little bit of fitting. After all Ford did the same thing when they were originally built. This comes to light when looking at original bodies and noticing how they were put together. Sorry Spencer that one will go back on my car after it is media blasted and the body filler removed rust hole repaired I also need to do some work on the sides and find a deck (Floor?) for the turtle I understand it is supposed to be steel but my car had plywood when I bought it. Deck floors aren't hard to make. 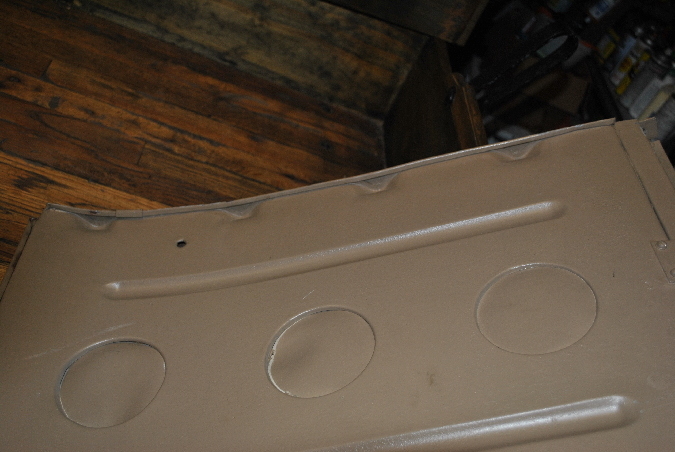 This is the entire floor pan from my '22 Coupe. I used the original as a pattern. The only difference in mine is the bead pattern in the turtle deck. The original bead design was an "X" with a border bead around it. I couldn't run my hand crank bead roller and turn the metal pan at the same time. Shortly after I did this several guys posted threads on how they added power to their bead rollers with a foot switch. One has to remember that Model T bodies are not all exactly alike. Many a restorer has been disappointed even when using original parts. I had been told this by others but kind of disregared it. I found this out when I bought a really nice trunk lid for my 24 Coupe. It had most of the original wood in it and was an almost perfect lid. When I installed new wood in it I was really confused when I started measuring it. It was 1/4"+ out of square! 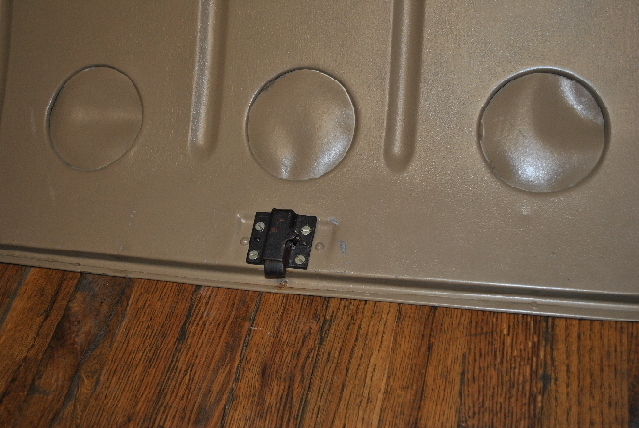 I compensated for it when I installed it by moving the hinges over just a bit. I'm glad someone is making the sheet metal parts. It at the very least gives me something to start with. From past postings the curve across the rear at the latch is correct. It should be that way not flat. I was under the impression that replacement lid was just the outer skin and you still had to have the inner panel to complete the job. 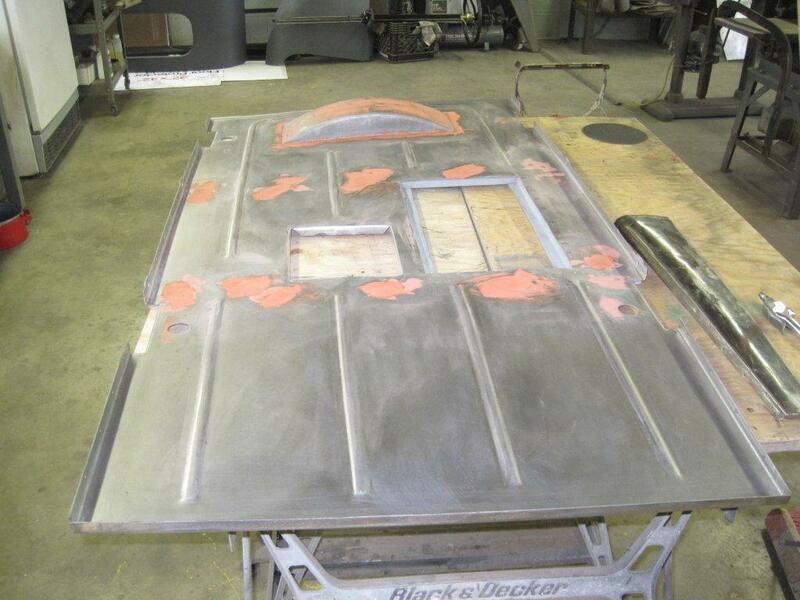 Howell's sells a completed deck lid, the deck lid skin only, and inner deck lid panel only. That way you can buy a completed deck lid or buy the skin separately and the deck lid panel separately and assemble them to suit your car. Or you can purchase just what you need and use your own part.